Today, WordPress 5.0 comes out. 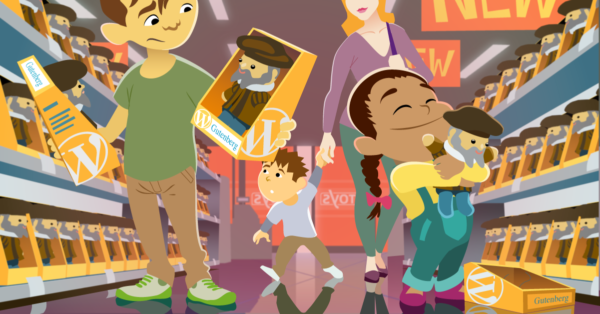 It ships with a brand new WordPress editor, previously known as Gutenberg. If you decide to update, you’ll find a brand new interface with lots of changed functionalities. You might wonder what happens to Yoast SEO if you use the new editor? Don’t worry, your favorite SEO tool is ready for WordPress 5.0! In this post, we’ll show you where to find all the Yoast SEO tools in this new editing environment. Related keyphrases -- Premium only! Internal linking suggestions - Premium only! Since Yoast SEO 8.0, our flagship plugin is compatible with WordPress 5.0. 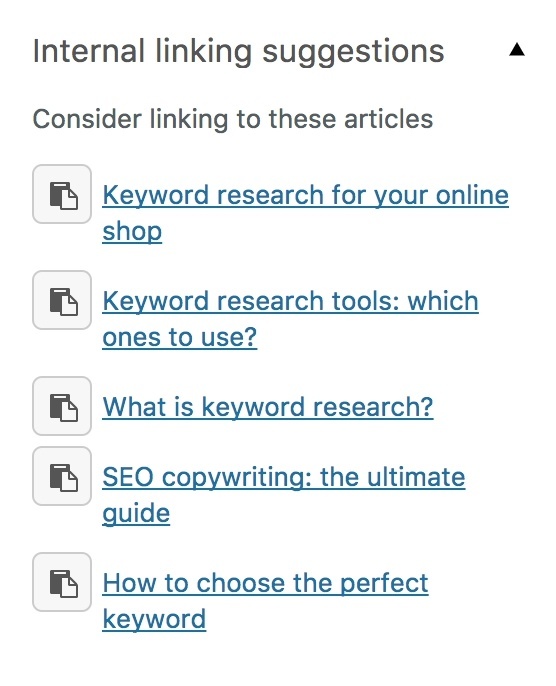 First, we introduced the Yoast SEO sidebar with most features in it and later on, in 8.2, we made sure the snippet preview worked in the sidebar as well. We’ve fine-tuned stuff and added some super handy structured data blocks too: an FAQ block as well as a How to block! With those blocks you can create FAQ and How to pages with structured data in a jiffy. More on that further down this post. Just updated to new version of W, there are many changes which has to be done. This guide helps a lot! I don’t think so many users are liking this new editor. For me it’s confusing. My question is there any massive under the hood changes? Because I can see that my sites are now loading bit slower. 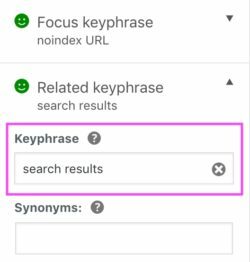 This is a great Yoast Seo guide. You explained everything in detail. Since the update, Yoast is no longer working on my site. It says there’s no content. I’ve read suggested fixes and attempted them but I haven’t gotten it working, again. We’re sorry to hear that! Could you please create an issue on our GitHub repository? https://github.com/Yoast/wordpress-seo/issues That’ll make it easier for us to help you. There is some issue like jetpack Proof Reading is disabled in WordPress 5.0 did Yoast have and plugins like grammar checker or proof reading? Hi! 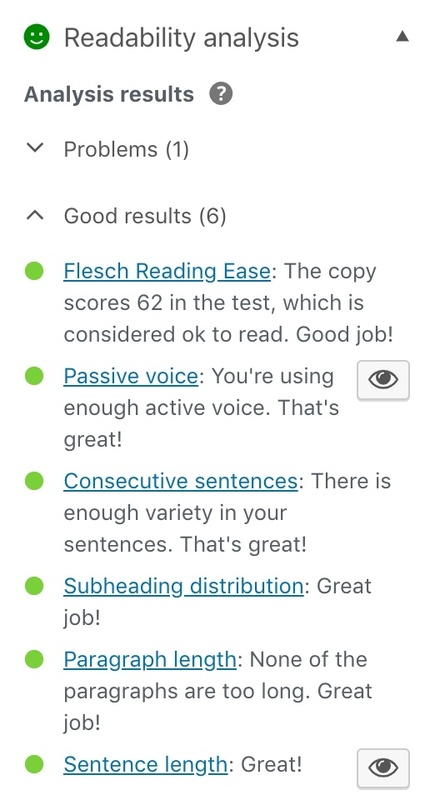 We do have a readability check in Yoast SEO. It checks whether your sentences and paragraph aren’t too long, for instance. We don’t have a grammar check or proofreading tool though. So better contact JetPack about this issue. Good luck! Hi Dolly, glad to be of help! Thanks for sharing. Its very helpful to improve SEO for our site. Thanks yoast i like it. Soon after installing WP 5.0 my website started behaving strangely. May be it was due to theme compatibility issues or whatever. I am trying to cope though. Can you suggest a remedy why I am not able to make my posts featured. I am selecting the checkbox but after refreshing the page after update, it comes unchecked. Any bug? Hi, I am premium user of Yoast SEO . Yesterday , I updated WordPress 5.0 my web site. After that, i didn’t open organizer posts and pages. All plugins were deactived step by step and the issue stems from Yoast Seo. Please support this problem, because for the premium version, it is a bad situation. Hi! I’m sorry to hear that, please feel free to reach out to our support team at support@yoast.com. They can help you further as quickly as possible, good luck! Hye I am free user of Yoast SEO and since GUTENBERG update happened my yoast seo meta box disappeared. It is showing blank space. I can not see SEO metabox… and a sidebar! As I am free user so i cannot have premium but is there any guideline. And also I dont have WPML plugin installed. 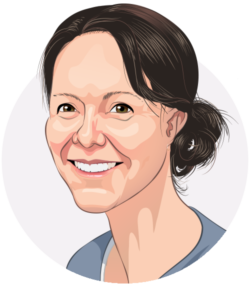 Same here… I have gone back and forth between the old editor and Gutenberg – Yoast no longer works in either. Strange. sorry to hear that. We also had a report with the Pods – Custom Content Types and Fields plugin breaking our meta box, but their latest version fixed the issue. If you are not using that, there might be another plugin who is causing the conflict (or perhaps your theme). You can check by disabling all, except Yoast SEO and enable them again one at a time. If you need further support, please read https://yoa.st/support. Good luck! Hi, we have the most up to date version of WordPress and Yoast. However nothing from your screenshots above is showing, nothing in the sidebar and the yoast box under our post in editor mode (where I would write the meta description etc) is simply blank and not showing anything. I’m sorry about that. There is a known conflict with WPML Media (which will be fixed once they release an update) and with Pods – Custom Content Types and Fields (which is already fixed with their latest version). If you aren’t using either, I’d suggest performing a conflict check with other plugins and your theme. You can use our guide here if you don’t know how: https://kb.yoast.com/kb/how-to-check-for-plugin-conflicts/. For further support, I’d like to refer you to https://yoa.st/support. Good luck! 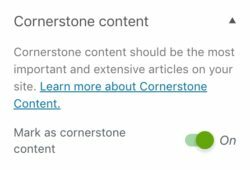 There are already three blogs in which I have read about WordPress 5.0 so I decided to update one of my blogs and try and take a star with the editor Gutenberg, really adding blocks for each paragraph is quite annoying and then I return to the version 4.9.8. What bothers me most is that I know that at some point I will have to update to this new version even if I do not want to. My Yoast Plugin is not working with 5.0. The SEO box below the post which usually contains the snippet preview, readability index and the focus keyword is completely blank. Just gone. sorry about that. There is a known conflict with WPML Media (which will be fixed once they release an update) and with Pods – Custom Content Types and Fields (which is already fixed with their latest version). If you aren’t using either, I’d suggest performing a conflict check with other plugins and your theme. You can use our guide here if you don’t know how: https://kb.yoast.com/kb/how-to-check-for-plugin-conflicts/. For further support, please refer to https://yoa.st/support. Good luck! Its very helpful to improve seo for our site. Thanx yoast i like it. I just updated WordPress and the Yoast SEO plug-in. However, the snippet preview, the highlight options under “problems” isn’t working. I’ve deactivated/activated and reinstalled the app but that did not help. Any suggestions? i already try install Yoast , but when i create a post there are no Yoast Control Panel like in above picture. what must i do it, please help me. I’m sorry to hear that. 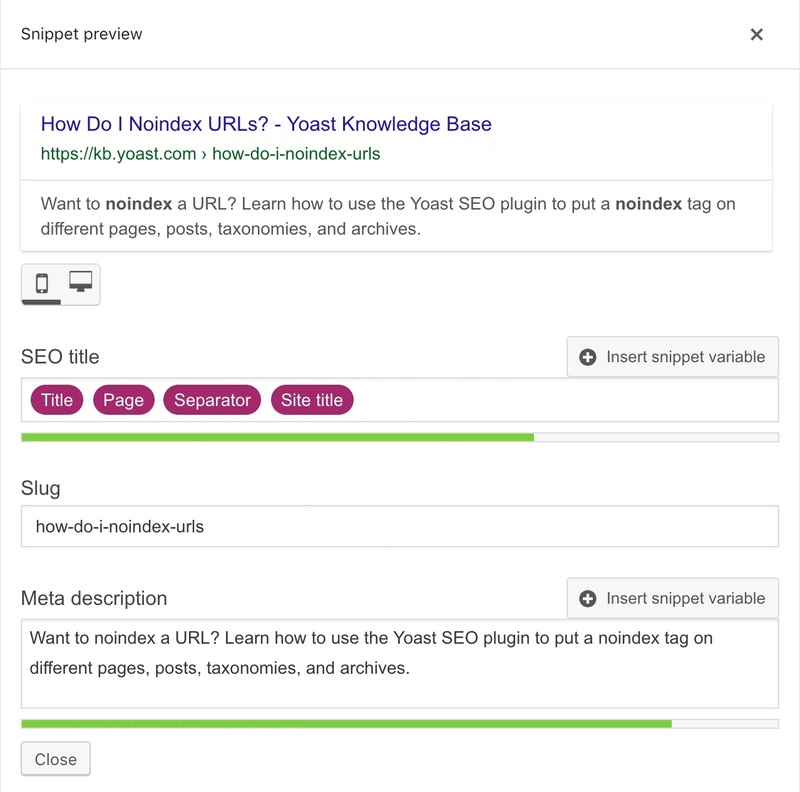 You can check the settings of Yoast SEO if all features are enabled. If they are, you can check if there is a plugin or theme conflict. If you need further support, please see https://yoa.st/support to check where you can go. Good luck! The yoast seo premium plugin shows this message in all of my blog posts: The text contains 0 words. This is far below the recommended minimum of 300 words. Add more content that is relevant to the topic. Can you help me to identify what is happening? I have published a lot of blog posts with everything OK in green with the yoast seo premium but when doing the update to WordPress 5.0, now in all of the blog posts is appearing this message, like if none of my blog posts have texts and that are not optimized, need help with this. Checking more blog posts the slug and titles are not showing and looks like none of my blog posts previously published in the past are not optimized according to Yoast SEO. sorry to hear that, that shouldn’t happen. It sounds like a plugin conflict. I can’t really help you further here though. If you have Yoast SEO Premium, you can email our support team. Otherwise, you can go to the WordPress forums and open up a new topic here: https://wordpress.org/support/plugin/wordpress-seo/. Hi Pete, I think you need to download a plugin called ‘Advanced Custom Fields PRO’.